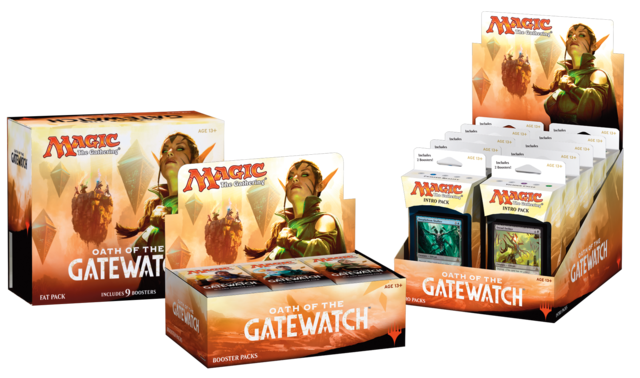 Both TBS COMICS locations will be open from 11:45PM Thursday (JAN 21) to 12:15AM Friday (JAN 22) for the midnight release of Magic the Gathering: Oath of the Gatewatch. If you stop in any time Friday, JAN 22 and pick up a booster box you will be entered into the drawing to win an Oath fatpack. Drawing will take place following FNM JAN 22.